It is not a myth. London is one of the cities with the highest cost of living in Europe. The explanation is simple. The English capital is one of the destinations in the world to immigrate and this causes rent prices to rise. It’s people coming and going in search of renting. However, the latest news shows that rent prices are falling and thus encouraging those who wish to live in London. LondonHelp4U has prepared a step by step for you to rent the dream house in London. First: You need to decide the region. London is into six zones. We recommend zones 1 and 2, closer to the center. The more distant you live, the cheaper is the rent, but, the more expensive the ticket on the underground is. The logic is this. You need to balance what you want. Second: Search for apps and sites. Decided to go to the area, there are several options: Zoopla, Gumtree, Spare Room and One Room. We recommend that you do not transfer money without having visited the place. See the distance from the underground, supermarkets and GPs. Some sites are able to know every detail of the region as crime levels and age of the population. Third: You do not need sharpening in London. But, you need to mind about the expenses of renting a home. It requires deposit money. Which is usually six weeks. You can get this amount back when you leave the house. Plus the agency fee and plus one month’s rent in advance. You can not forget the internet, energy, gas water, council tax and home insurance. But, you can choose to pay the rent with bills included. Tip: If you visited the place and liked it. Make the offer. Do not leave for another day, as the demand is constant the risk of losing to another person is very high. Prices: Search a lot. You can find studio from 800 (with bills included) in zone 2 and houses with two rooms for 1500 pounds. O número de cidadãos da UE que sairam do Reino Unido atingiu o nível mais alto da década com 130 mil imigrantes no ano, segundo informações divulgadas pela the Office for National Statistics (ONS). 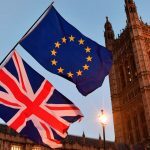 O estudo aponta o Brexit como um fator nas decisões dos europeus de partir. A imigração líquida da UE foi a menor em cinco anos. Os números também mostram que mais britânicos estão imigrando do que estão voltando a viver no Reino Unido. A Grã-Bretanha atingiu o limite de pedidos de vistos para trabalhadores não-europeus qualificados pelo terceiro mês consecutivo. Mais de um terço dos vistos de trabalho tier-2 emitidos pelo Home Office vão para setores do NHS que enfrentam, atualmente, uma crise por falta de equipe qualificada. A cota mensal foi alcançada em dezembro e janeiro pela primeira vez em sete anos e preocupa o setor. Segundo o jornal The Guardian, o problema é que a cota introduzida em abril de 2011 teve o limite atingido e isto significa que muitos trabalhadores altamente qualificados não poderão assumir até que o número de pedidos diminua ou que tenham novas mudanças do governo britânico. O Reino Unido publicou propostas sobre como o governo deseja o período de transição. Segundo o documento o tempo deve durá o necessário para “preparar e implementar os novos processos e novos sistemas.” No entanto, o Reino Unido aponta para um período de dois anos, mas quer discutir com a UE para marcar uma data final. O documento sugere ainda que o Reino Unido respeitará as novas leis da UE e estará envolvido em negociações futuras, mas não poderá assinar acordos comerciais sem a permissão da UE. Há “apenas um pequeno número de áreas”, onde os dois lados discordam, afirma documento. Entre estes, o status dos cidadãos da UE que chegam durante a transição. Os imigrantes que trabalham no setor de assistência social para adultos contribuem com 4.4 bilhões de libras para a economia inglesa anualmente, de acordo com os números divulgados para marcar o evento One Day Without Us (1DWU). Segundo o jornal The Guardian, se os imigrantes do setor parassem de trabalhar por um dia, haveria uma queda de 17 milhões de libras. Despite advances in women’s empowerment and gains in women’s rights, we still have a long way to go in pursuit of equality and protection for women. The visa for victims of domestic violence is one of the rights that is still unknown by women in the UK. Some are suffering psychological and physical abuse for fear of losing their right to housing and leave the country. The victims of domestic violence may apply for permission to live in the UK by separating and denouncing the attacker. The Home Office is the government agency responsible for immigration. Defines domestic violence as any behaviour violent or abusive. Who are or have been in a relationship, and between family members. Violence can be psychological, physical, sexual or emotional. Who applies for a stay visa under the protection of this law do not need to prove their knowledge of the English language nor to apply for the Life in the UK test. The person must prove evidence of the abuses that suffered during the relationship. The government recommends that victims report the police, seek advice from immigration consultants. Domestic violence can occur with anyone, regardless of gender or sexuality. Unfortunately, it is more common for men against women. It affects one in four women in the United Kingdom, according to the British institution Rights of Women. LondonHelp4U provides help in obtaining visas for victims of domestic violence in the United Kingdom. We have a team of immigration consultants registered and recognized by the British government. Want to talk with us? Contact us by phone HelpLineUK 24h + 44 75 85668158 or +44 0207 636 8500 (UK) or by e-mail info@londonhelp4u.co.uk. Ask your questions, make an appointment, make bureaucratic processes easy and quick with the help of # LH4U. For more tips and information on immigration, follow our social networks and our website. Os planos do Home Office para lançar um aplicativo de telefone para registrar cidadãos da UE no Reino Unido foram tratados como um “vendaval” depois que Theresa May entrou em confronto com Bruxelas sobre cidadãos europeus que chegam durante o período de transição para a Brexit. O sistema digital estava pronto para ser testado em janeiro, mas o Home Office teve que voltar atrás depois que a primeira ministra alertou que não haveria direito automático de permanecer para aqueles que chegam ao Reino Unido após 29 de março de 2019. Apesar de todas as notícias do Brexit tomarem conta dos jornais e a atenção dos parlamentares, a coluna de Adam Marshall do jornal britânico, The Guardian, aponta sobre uma crise já está acontecendo nos setores empresariais, propriedades industriais, projetos de construção e fazendas na Grã-Bretanha. As empresas estão lutando para preencher vagas e encontrar funcionários que queiram crescer na carreira. Em alguns setores, as empresas relatam que a escassez de mão-de-obra atingiu níveis críticos. Resultado de uma combinação de níveis recorde de emprego para pessoas nascidas no Reino Unido e queda significativa da imigração após a desvalorização da libra esterlina em 2016. Os inquéritos da British Chambers of Commerce mostram que quase três quartos das empresas que tentam recrutar estão enfrentando dificuldades – isto é perto dos níveis mais altos desde que os registros começaram há mais de 25 anos. O plano do presidente dos Estados Unidos, Donald Trump, para reformular o sistema de imigração dos EUA e financiar o seu muro fronteiriço com o México foram bloqueados pelo Senado americano, deixando o Congresso sem um caminho claro para proteger os jovens imigrantes sem documentos – os chamados sonhadores – da deportação. Em uma repreensão ao Presidente, o Senado votou 39-60 contra o avanço de uma proposta apoiada por Trump. As informações são do jornal Independent. It is true that having a European passport is the simplest way of living in the UK. But, this dream is not something accessible only to people who hold a document from an EU country. It is possible to legally live in the UK without having to have a red passport in your hands. Check out some examples. One of the most sought-after visas for non-European immigrants in the UK is the work visa, Tier 2. This category is applicable for qualified professionals wishing to work in the UK. To apply you must have a job offer and a sponsorship certificate from a UK employer who has a valid Tier 2 license. The least wage is £ 20,800 per year. For experienced workers, the required least increases to £ 30,000 per year. Apply also for this visa who are being transferred to a British branch of the organization. For these professionals, the salary should be at least £ 24,800 per year. Professionals want to invest in the UK or to involve in running a business in UK territory. You need to have capital of at least 200,000 pounds. High net worth individuals who want to make a large financial investment in the UK. You need to have capital of at least 2 million pounds in the UK. Those who intend to study in the UK on courses lasting up to 11 months may apply for the short-stay visa. You need to have an offer in an institution recognized by the UK Immigration Agency (UK Border Agency). And have the financial resources to stay for the duration of the course. It is not possible to extend this visa, which lasts from 1 to 11 months. For who would like to study in the UK in higher education (undergraduate, masters, etc. ), must apply for the Tier 4 visa. You must prove the level of English and have enough resources to maintain it during the course. LondonHelp4U offers an immigration service for those who wish to apply for all types of visas. We are an immigration company with 17 years of experience in visas and citizenships for the United Kingdom. Want to talk with us? Contact us by e-mail info@londonhelp4u.co.uk. Ask your questions, make an appointment, make bureaucratic processes quick and easy with the help of # LH4U.